I bought my kids some colouring books and pencils the other day and then realised they had no where to store them. This is the solution to that problem. 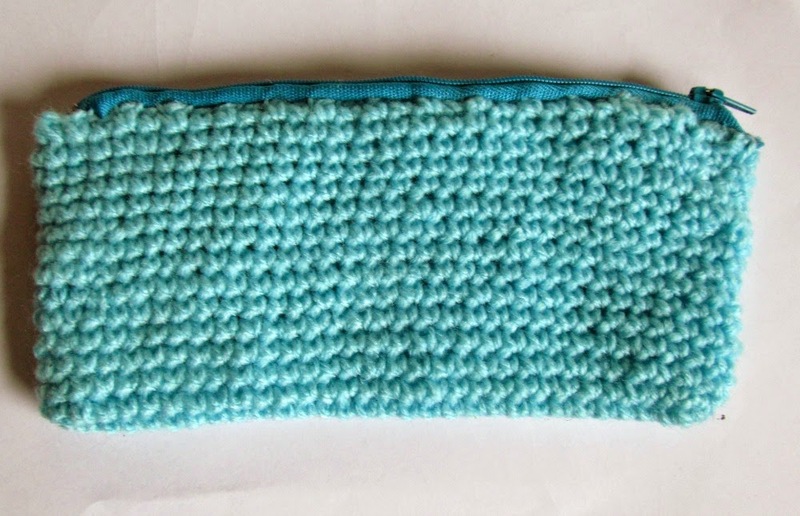 This pencil case worked up in about 30-40 mins (not including the cross stitch) and all I had to buy was the zip as I had the yarn already. Round 1: Ch 31, sc into the 2nd ch from the hook and in next 28 ch's, place 3 sc into the last ch. Now working on the other side of the ch, sc into the next 28 st, 2 sc into the last st.
Do not join the round. Mark the first stitch with a stitch marker and continue working around moving the marker up as you go. Join to next sc with a sl st and finish off leaving a tail for sewing the zip. I turned my pencil case inside out to stitch in the zip. I used the yarn from the project but you can use thread or even a sewing machine. 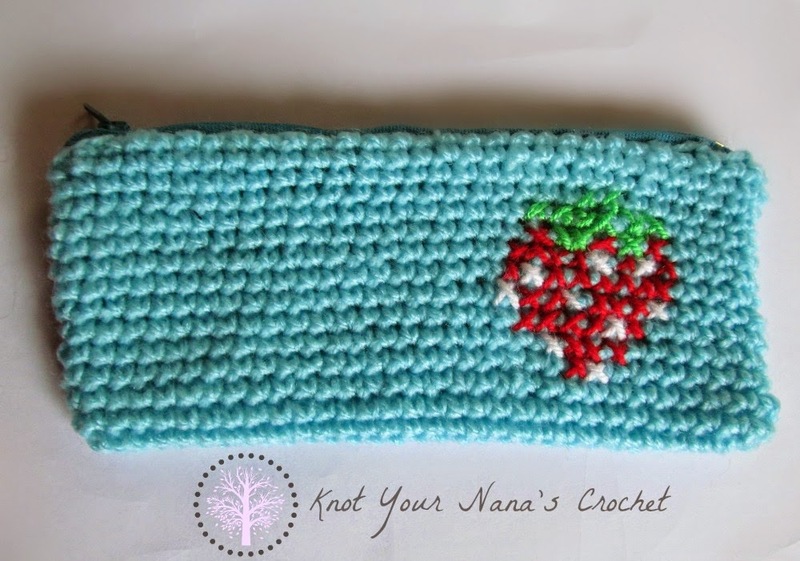 I decided not to line mine and cross stitched a strawberry onto the front. 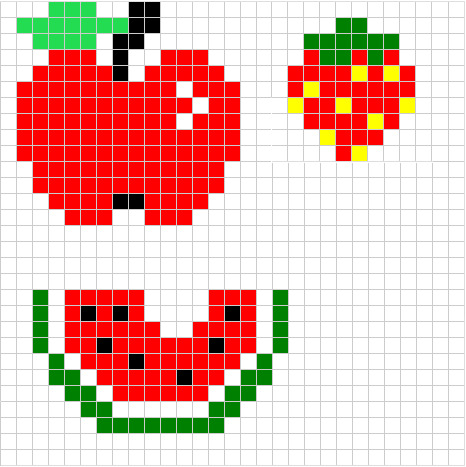 The chart for the strawberry was found HERE. You could also add a cute applique.